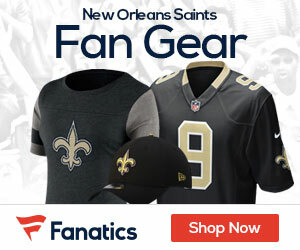 A number of fans that were late to Sunday’s game at the dome might as well have not even shown up the way the Saints played for the first eight minutes. That was all Carolina would need, as they jumped out to a 17-0 before half of the first quarter was over, and in the end they totally blasted New Orleans, taking home a 41-10 win. It’s the fourth straight home loss for New Orleans, a team that used to dominate at home, and now can’t seem to regain any sort of home field advantage. Sean Payton called the loss “embarrassing,” and emphasized that he’ll be eager to review the coaches’ film of the game. The Saints turned the ball over on two of their first three offensive plays. Mark Ingram’s fumble on the New Orleans 25 — forced by Josh Norman and recovered by Colin Cole — led to a field goal. 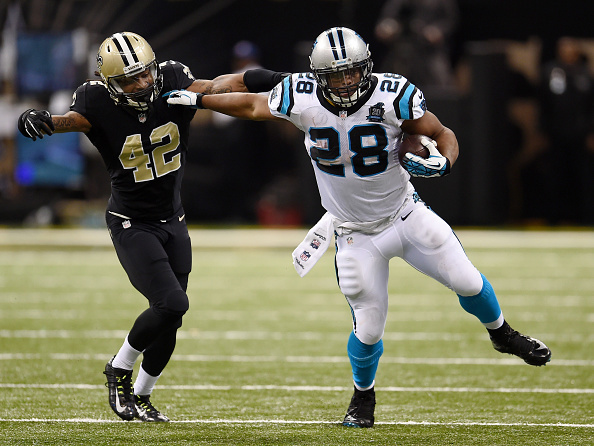 Bene Benwikere’s interception of Drew Brees led to Newton’s rushing TD. The Panthers, who entered with a league-low 30 first-quarter points all season, scored 17 points inside the first nine minutes. Brees was 29 of 49 for 235 yards and one late TD to tight end Ben Watson. Afterward, Brees said the Saints haven’t responded well to adversity this season. Even if the Saints win the division, the season is over. They are going nowhere in the playoffs. Can’t wait for next season to start!